DEME was named winner of the annual IADC Safety Award during IADC’s Annual General Meeting in Cascais, Portugal. The award was received for the “enhanced muster station” initiative on board of jack-up vessel Neptune. Each year IADC (International Association of Dredging Companies) honors one of its member companies that has shown outstanding achievement in the area of safety. The IADC Safety Award is intended to encourage the development of safety skills on the job and to reward people and companies who demonstrate special diligence in safety awareness. 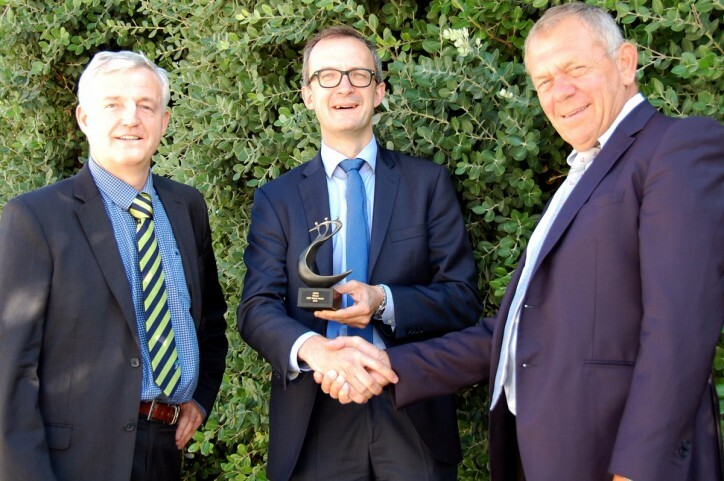 The 2016 IADC Safety Award for Neptune’s “enhanced muster station” was presented to Lieven Durt, Director QHSE-S DEME, and Luc Vandenbulcke, Managing Director GeoSea, at IADC’s Annual General Meeting that took place recently in Cascais, Portugal. 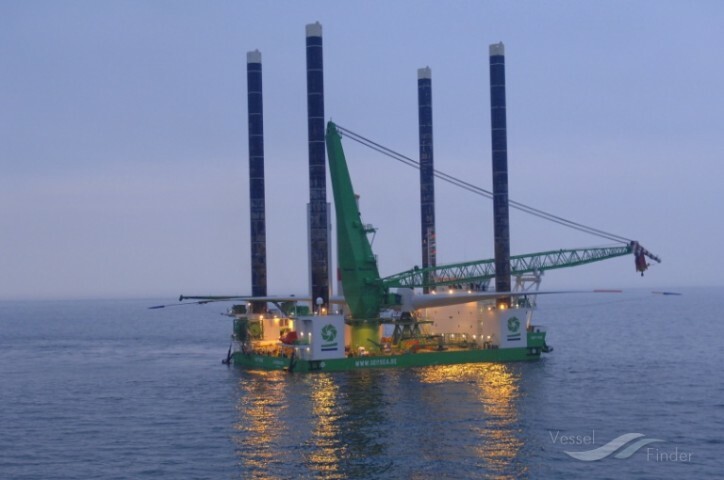 The jack-up vessel Neptune is being deployed by GeoSea, DEME’s subsidiary specialised in complex offshore marine engineering projects. The muster station on board of jack-up vessel Neptune was enhanced by painting numbered circles on deck. It is efficient during drills and emergency situations and it helps provide a quick overview of the number of people gathered at the muster station, the number of missing people and a way to identify those who are missing. This enhanced muster station can be applicable to all vessels and can be implemented at low cost (only a paint job) and with minimum effort.